Fire Emblem Heroes is fast approaching it’s 2nd Anniversary in February, and to celebrate a new Choose Your Legends event is taking place. What is Choose Your Legends (CYL 3)? Choose Your Legends is an event in Fire Emblem Heroes that usually happens every year around the games anniversary. 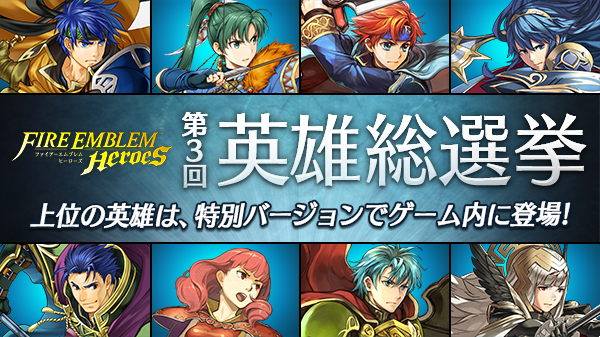 Fans are asked to vote via a special website for their top heroes from the game (both male and female) and the top 2 from both genders will be added to the game as special heroes later in the year. Fans can vote for their favorite heroes once every day at the below website till January 28th.